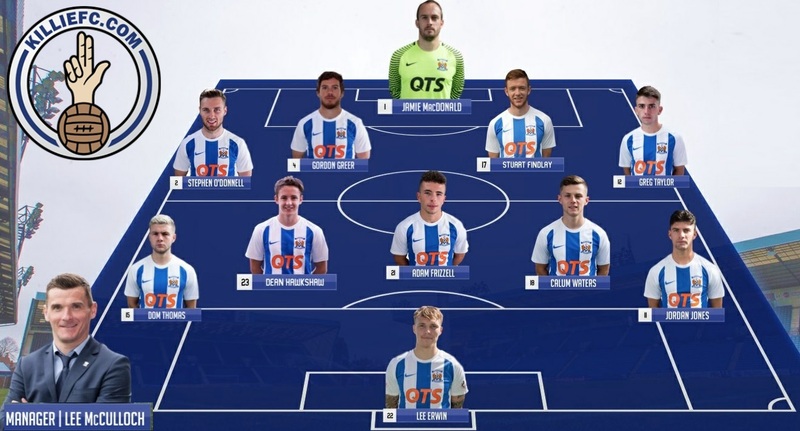 Jamie McDonald, Stephen O"Donnel, Stuart Findlay, Greg Taylor, Gordon Greer, Dom Thomas, Calum Watters, (Kris Boyd 46), Dean Hawkshaw, Adam Frizzell, Jordon Jones, Lee Erwin (Eamon Brophy 71). Subs Not Used: Cammy Bell, Kirk Broadfoot, Alan Power, Chris Burke, Brad Spencer. The hosts were toiling to get out of their own half and the Highlanders again tested them with a downward Andrew Davies header. 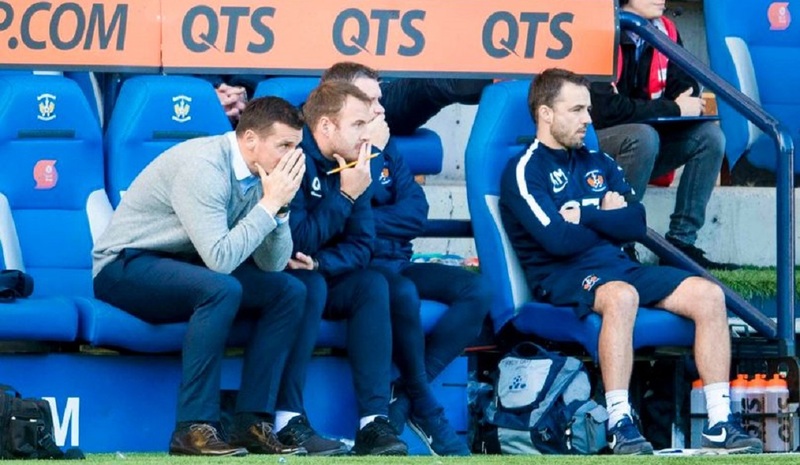 Kilmarnock were forced to sit deep with the hope of catching the visitors on the counter attack. They almost did just that in the 15th minute, breaking forward at speed with the ball dropping invitingly for Adam Frizzell on the edge of the area. The Scotland Under 21 caught his shot from 20-yards perfectly, however it flew just inches over the crossbar. 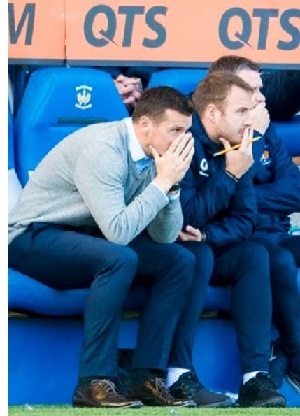 Frizzell’s attempt afforded the Kilmarnock defence some respite from County’s early onslaught. It didn’t last long. They were soon called into action again at the other end Coyle’s men continued to pile on the pressure. A well worked move released the over-lapping Michael Gardyne on the angle of the penalty box. His low drive appeared destined for the bottom corner until Jamie MacDonald produced an outstanding save at full stretch to keep the scoreline blank. However, he was powerless to prevent the Dingwall outfit deservedly taking the lead on 34 minutes. Davis Keillor-Dunn was the architect, picking out Curran with a perfectly weighted ball into the danger area. The striker stole a march on Killie’s central defensive pair, Stuart Findlay and Gordon Greer, nipping between them to plant an unstoppable header beyond the despairing dive of MacDonald. Amid howls of derision from the home support County doubled their advantage on the stroke of half-time. The defending, or rather the lack of it, was embarrassing. Van der Weg was allowed to stroll forward from the back almost at will before exchanging passes with Curran. As the static Kilmarnock players looked on, the big Dutch defender collected the return pass, albeit with the aid of a deflection, and calmly slotted it home. After being jeered off at the break the Killie team were out for the second half a couple of minutes before their opponents. Skipper Gordon Greer formed them into a huddle before ordering them into battle for the second half. Whatever was said appeared to have some sort of effect as they did at least look more threatening. 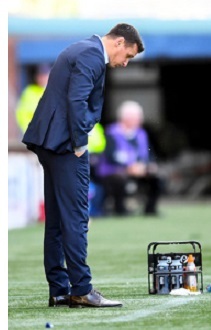 Substitute Kris Boyd was thrown on to add some much needed weight to the attack and he duly made his presence felt. The veteran hitman was presented with two terrific chances although he didn’t manage to convert any of them. A close range header went a begging after some good work from Jordan Jones and then he completely mis-cued with the goal at his mercy following a delightful cut-back from Dom Thomas. 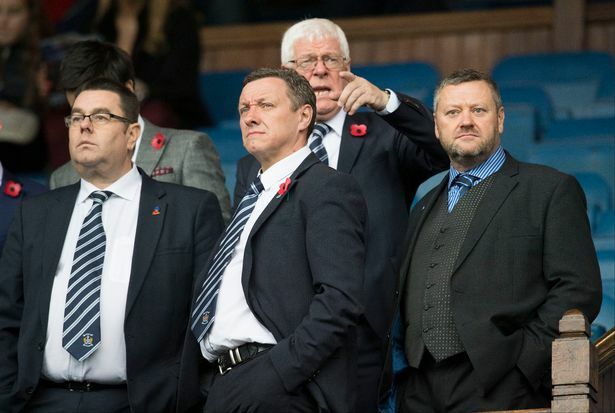 Killie soon peetered out and normal service was resumed with County allowed to cruise through the remainder of the match without needing to get out of second gear. 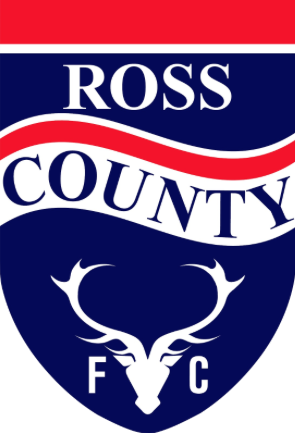 Ross County have now won on six of their last seven visits to Rugby Park. 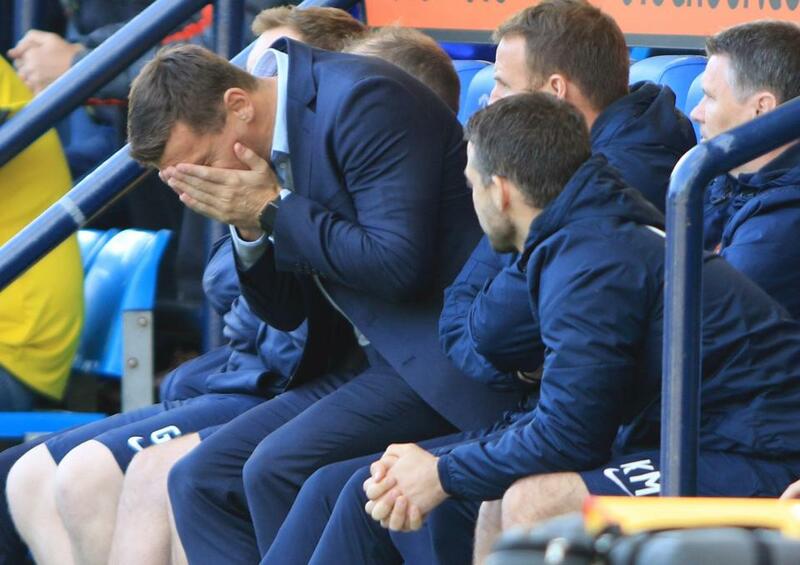 Lee McCulloch: "That was pretty bad. I feel we weren't at it in the first half. I've told the players I feel really let down by their application in the first half. "In the second half we gave it a go but the game was won and lost in a 30-minute period in the first half when we didn't get close to anybody. At 2-0 it didn't look as if we had that spark to get it back. "No, I don't [feel under pressure]. I am feeling all right just now. I have just told the players my honest opinion. Of course we are [going to bounce back]. "The truth has been told in the dressing room. The fans are entitled [to boo]. With that first-half performance, the fans were pretty kind, to be honest."